Create 7 playful pop stick projects. Make a giraffe, catepillar, peacock, flowers, chicken and cow puppets. 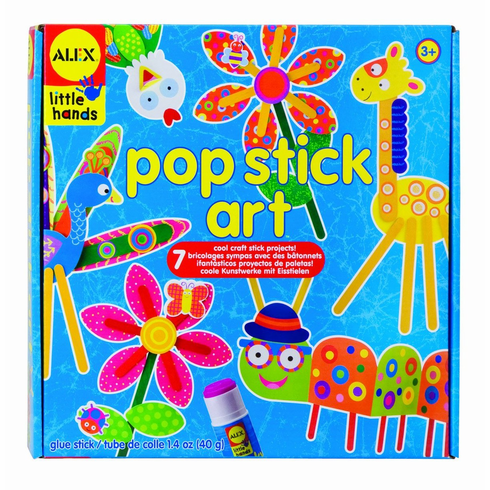 Includes lots of stickers, paper shapes, pop sticks and more!